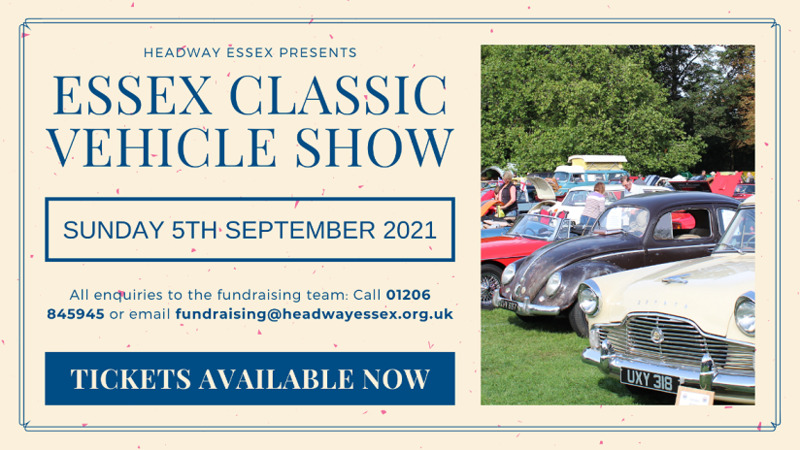 ***No 2019 information available yet for this event*** Whether you are a classic car enthusiast or a vintage motorbike fanatic the Essex Classic Vehicle Show is the perfect event for any petrol heads and is the only event of its type to be hitting Castle Park this summer. In addition to the estimated 200 vehicles that will be coming to the park there is a schedule of arena events including vehicle shows and demonstrations. The event will also feature craft and gift stalls, food stalls, a drinks tent and children�s entertainment. The event which is being held in Castle Park, Colchester is being organised by local charity Headway Essex alongside the �Charity Classic Vehicle Club� and the �Chelmer Valley Car Meet� and will raise vital funds so that Headway can continue their work in the local community, providing Brain Injury Care & Support.